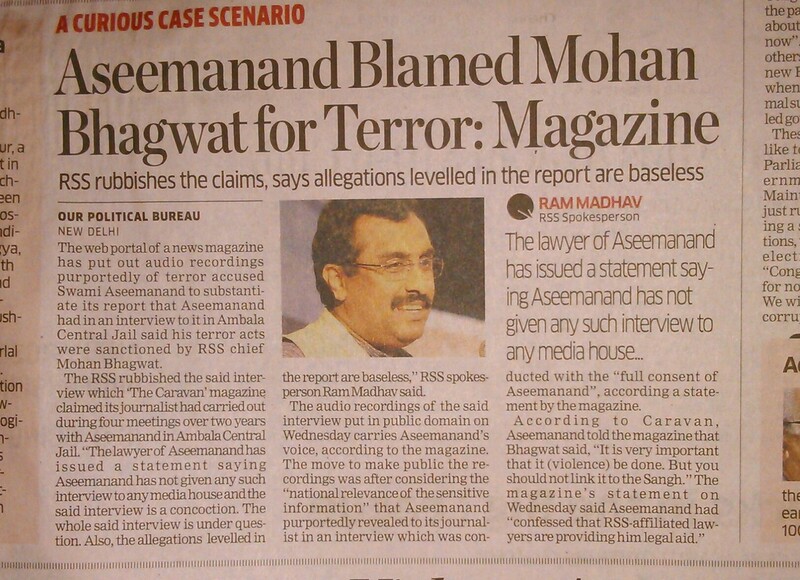 Terrorists and other criminals can claim CCTV footage as fake. Even fake godmen like Nithyananda can absolve themselves of any disrepute. Intelligence and investigative agencies can manufacture false evidence for their false cases and false-flag terrorism acts. Despite so much advancement in technology, all that Obama got for his belated fake birth certificate was a total fail. Hypnotism and mind-altering drugs has powered many mass-shooters in America. 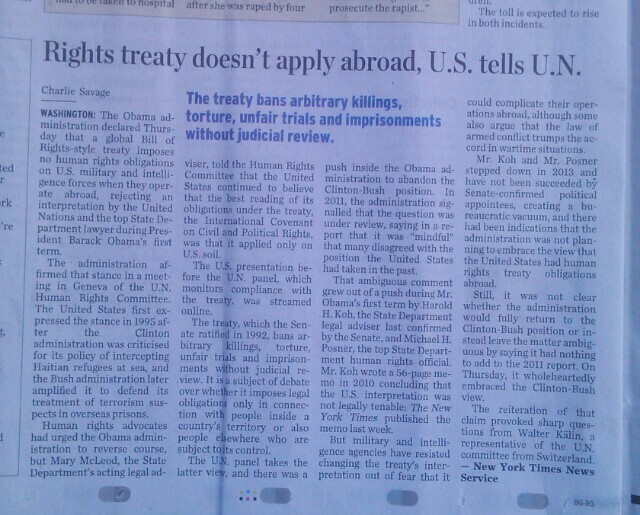 Nobody should be in jail for 20 years and death penalty is just wrong but this wrankles a bit. Will the Americans kill Putin now? They are unusually quiet with Sochi. UPDATE (1-Mar-2014): So, they weren’t trying to kill Putin. Instead, they took down the democratically elected government of Ukraine and set up a Nazi junta in its place while Putin was busy with Sochi Winter Olympics. The funny toothpaste bomb scare showed that they had something planned. It was similar to the FBI’s orchestrated media circus with Steven Hatfill before they murdered Fort Detrick military scientists Bruce Ivins in the Anthrax scare case, while he was under house arrest. 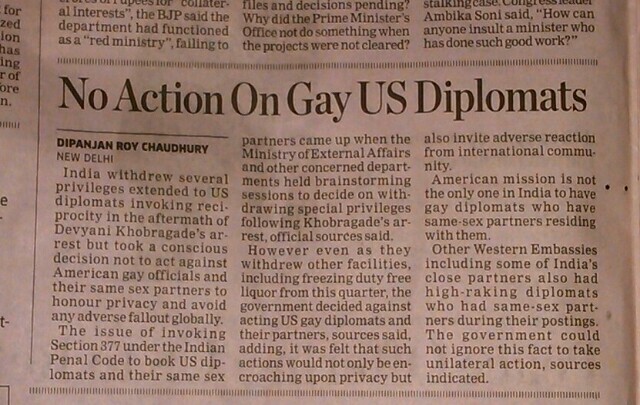 Section 377 has its uses. She was the one who helped Osama and Taliban hide in Pakistan. She was also the one who pressured Musharraf and held up government formation after Pakistan elections. So much for helping democracy. West-backed Al Qaeda terrorists move from Syria and threaten West-owned oil fields in Iraq; How long before they turn on Americans & the Saudis? 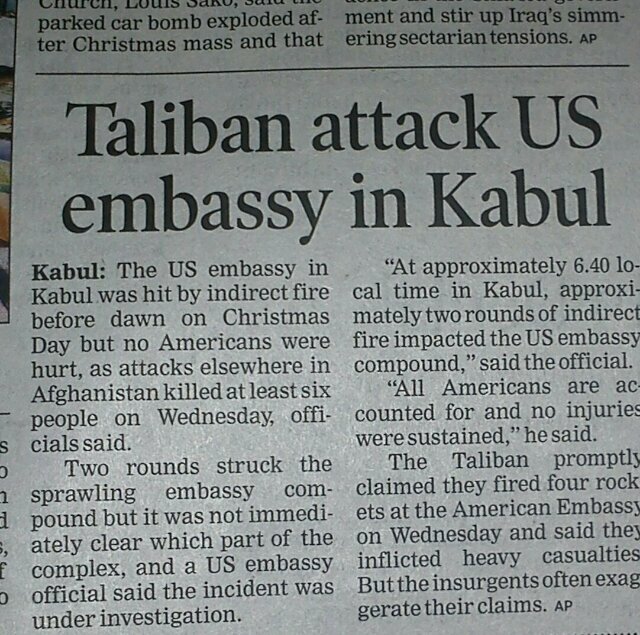 Taliban, the American-aided terrorists, sure know how to spread Christmas cheer! 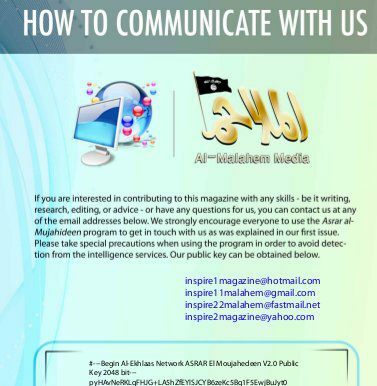 Al Qaeda’s Inspire magazine provides e-mail addresses hosted by American companies. 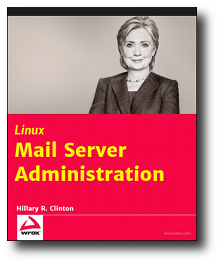 This is proof that the Inspire magazine is a honeypot project of the US government. The fact that Al Qaeeda has not denied that it has anything to do with the magazine should tell you that the Al Qaeeda is a Western intelligence operation.